The new 2019 Hyundai Santa Fe XL base trim comes with seven-passenger seating with 50/50 split-folding 3rd-row seating and YES EssentialⓇ stain and odor resistant interior. Want more out of your new 2019 Hyundai Santa Fe XL? The Limited Ultimate trim comes with an 8’’ touchscreen navigation system with Apple CarPlay™ and a panoramic sunroof. 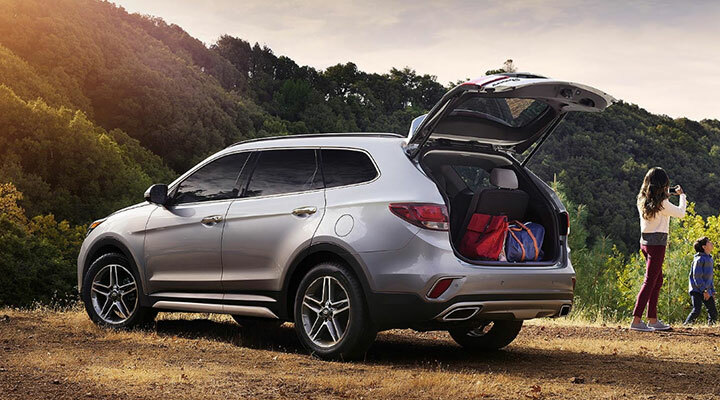 The new 2019 Hyundai Santa Fe XL is the premier SUV when it comes to space, style, safety and convenience, and you can find yours at Premier Hyundai of Tracy near the Livermore, CA area. The new 2019 Santa Fe XL comes with a long list of features such as the available Automatic Emergency Braking to the Hands-Free Smart Liftgate with Auto Open to make this SUV so notable. If you would like to get a first-hand look at all the available features of the new 2019 Hyundai Santa Fe XL SUV, then contact our Premier Hyundai of Tracy dealership and schedule a test drive. Our sales team is always available to assist you in finding the Santa Fe XL that best fits your lifestyle. 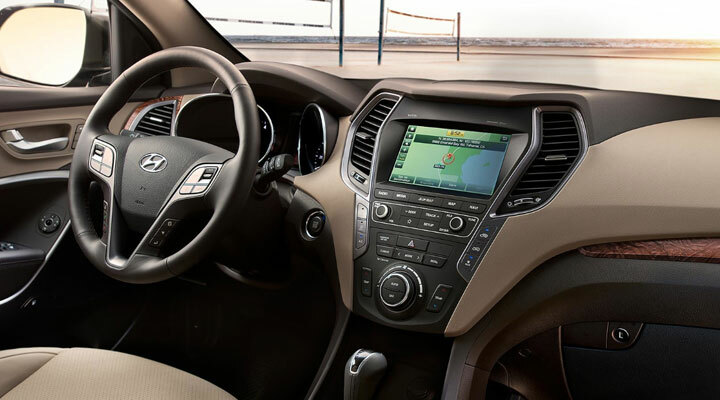 When you are inside the new 2019 Hyundai Santa Fe XL, the whole world is opened up to you. Enjoy the available huge panoramic sunroof that gives your cabin more natural light, or the available heated and ventilated front seats that provide the driver more comfort options on those long road trips. 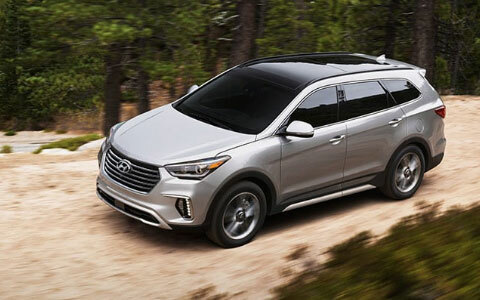 If you are looking to upgrade to the new 2019 Santa Fe XL, our Premier Hyundai of Tracy finance team would love to help. Visit with our finance associates to learn about the different auto loan options available to you and get pre-approved from the comfort of your living room with our online credit approval application. Like we said earlier, the new 2019 Hyundai Santa Fe XL is the premier SUV, and the Hyundai engineers have not skipped on the design of this powerful SUV. The new Santa Fe XL comes with standard 18’’ allow wheels that compliment the available LED taillights. Plus, the available Dynamic Bending Light has been designed to turn your headlights with the direction that the hood is pointing. All these features lead to one of the more impressive SUV options available today. 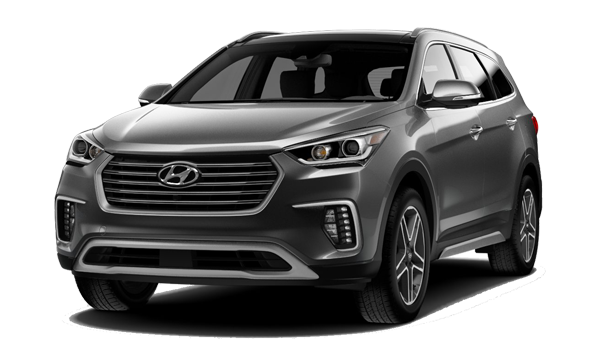 And if you want to keep your new SUV on the road longer, visit with our service team at Premier Hyundai of Tracy to learn how the different maintenance options can help improve the health and longevity of your new 2019 Hyundai Santa Fe XL.